Parts pulled out of systems that never got sold or used. Clean Pull Drive (s), Grade A Condition, Tested Working. 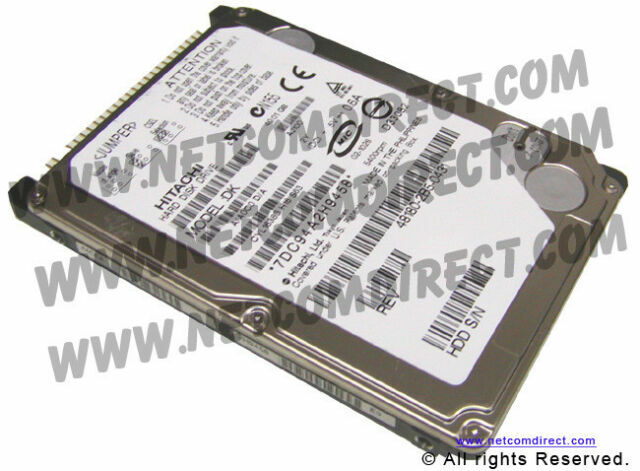 I bought a used Hitachi 30 GB Hard Drive about two weeks ago, and it works great just like new. Even though the HD was used, it was clear from any defect and had no prior OS/Software installed. I think this products was a great buy. The Hitachi 30gb, laptop hardrive, has been performing very well. I am very satisfied with this purchase.